A Chichester man has been fined for growing cannabis in Ford last year. Philip Divers, who turned 27 today, was ordered to pay £1,356 after pleading guilty. 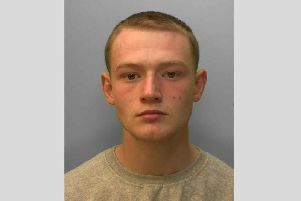 Divers, of St Marys Road in Boxgrove, appeared at Worthing Magistrates’ Court last Wednesday. He pleaded guilty to one charge of producing a Class B drug (cannabis) and was fined £1,160 and ordered to pay a victim surcharge of £111 and prosecution costs of £85. According to the court lists, the crime took place in June last year. The Crown Prosecution service confirmed the result of the hearing yesterday.